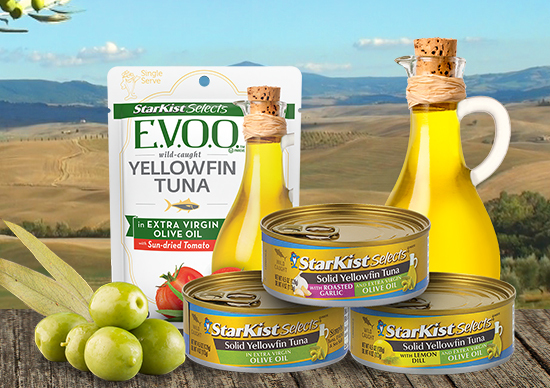 We take our highest-quality, wild caught tuna and salmon, and then combine it with the rich flavor of cold-pressed, extra virgin olive oil. 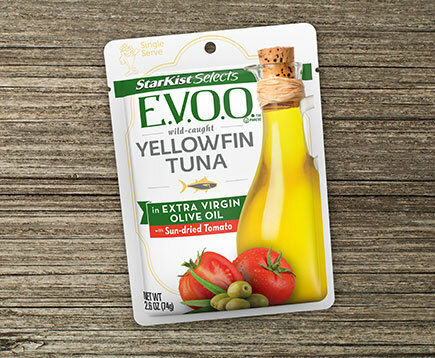 StarKist Selects E.V.O.O.® is our finest, tastiest StarKist® ever. 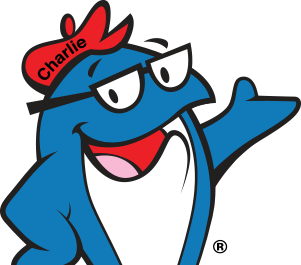 And now, it’s all yours. 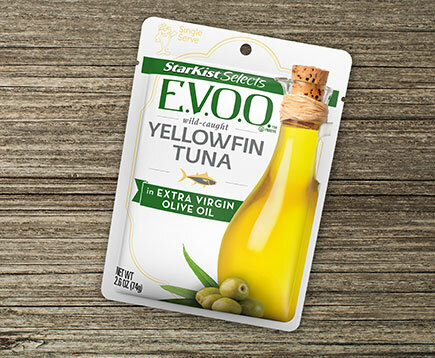 Yellowfin tuna packed in extra virgin olive oil. 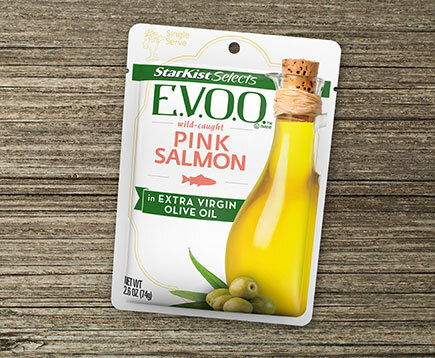 This pouch is full of flavor and packed with nutrition! 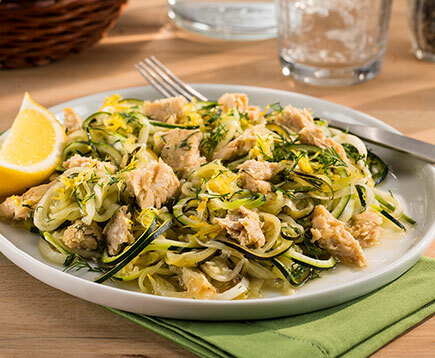 If you weren’t already a fan of spiralized veggies, these Lemon-Dill Zoodles with Salmon will get you hooked!